Among those who served in Hitler’s killing machines and committed war crimes during the Second World War, a countless number escaped any punishment for their crimes after the war ended in 1945. Many were deemed critical to the rebuilding of Germany, both in the Soviet and Western zones, and were welcomed into the post-war structures and institutions needed for Germany’s rebuilding. Others escaped to foreign destinations, often with the assistance of the Vatican and Red Cross, with Latin America in particular a favored destination. Adolf Eichmann was one spectacular example, and one of the few who did not live out his life in Latin America in relative tranquility (see Deborah’s Lipset’s account of the Israeli capture and trial of Eichmann, reviewed here in October 2013). But, to a surprising extent, the United States was also a prominent and even welcoming destination for former Nazi war criminals, both Germans and collaborators from Nazi-occupied Eastern European countries. They ranged from camp guards to Nazi policymakers. They settled in all regions of the United States. Most lived unobjectionable lives in their adopted country as factory workers, businessmen, scientists, and even prominent religious leaders. 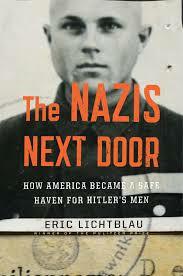 In The Nazis Next Door: How America Became a Safe Haven for Hitler’s Men, Eric Lichtblau, an investigative reporter for The New York Times, weaves together several cases of suspected Nazi war criminals living in the United States. Lichtblau spotlights how the cases came to the attention of U.S. authorities, how they were handled, and the personalities on each side, those seeking to remove ex-Nazi war criminals from the United States and those opposing their removal. The Cold War between the Soviet Union and the Western powers that erupted almost simultaneously with the defeat of Nazi Germany was “always at the center of American’s calculations over what to do about the Nazis” (p.31), Lichtblau writes. 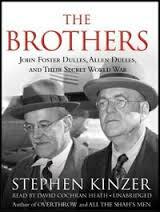 By the early 1950s, Allen Dulles at the CIA, J. Edgar Hoover at the FBI, and a handful of other senior intelligence officials had in place around the globe a “formidable network of their own of loosely linked and far-flung ex-SS men and Nazi operatives. 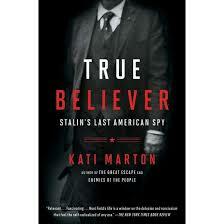 They were the spy agencies’ foot soldiers in the Cold War” (p.29). “Nobody hates the Commies more than the Nazis” seemed to be the justification U.S. agencies invoked, often shielding their sources from other US agencies interested in tracking down Nazi criminals and holding them accountable. Within the United States, the network of former Nazis grew by its own momentum. One ex-Nazi agent recruited to work for the United States would lead to the next, and the next; one anti-Communist spy ring made up of scores of ex-SS men would produce another, and another. . . [H]undreds of Nazi officers who were the nation’s sworn enemies just years earlier were now ostensibly on America’s side as spies, informants, and intelligence “assets”; fed and housed; paid and protected; dispatched and debriefed; code-named; cleansed, and coddled by their American handlers. That they had once worked for Hitler’s Third Reich was of little concern (p.30). Many of the ex-Nazis whisked into the United States were scientists, operating under a top-secret project named “Project Paperclip.” Although officially closed to “ardent” Nazis who took part in wartime atrocities, this exclusion was what Lichtblau terms a “fig leaf, a bureaucratic cover that was routinely ignored, as the U.S. government brought in professionals with direct links to Nazi atrocities and helped them ‘cleanse’ their war record’” (p.10). American officials were “determined to claim the Nazi brain trust for themselves,” regarding recruitment of top Nazi scientists as a “matter of survival in the postwar world” (p.24). The project included not just rocket scientists like Werner von Braun but also “doctors and biologists; engineers and metallurgists; even a nutritionist, a printing pressman, and a curator of insects from the Berlin Museum” (p.25). The Soviet Union, the new enemy, was also enticing German scientists to its side with “all sorts of promises” and there were reports that Moscow was “kidnapping unwilling scientists and bringing them to the Russian occupation zone. The Americans wanted their share. For both Washington and Moscow, Hitler’s scientists had become the spoils of war” (p.24). Lichtblau estimates that over 10,000 immigrants with clear ties to the Nazi regime found refuge in the United States, although the precise number will never be known because the United States had made it “so easy for them to fade seamlessly into the fabric of the country” (p.228). America’s disinterest in identifying suspected Nazi war criminals after the war was “so prolonged, its obsession with the Cold War so acute, its immigration policies so porous, that Hitler’s minions had little reason to fear they would be discovered” (p.228). Yet, beginning in the 1970s, many were discovered, thanks to the work of a handful of individuals both within and outside the United States government. Within the government, Congresswoman Elizabeth Holtzman almost singlehandedly focused the attention of her legislative colleagues and American authorities on Nazi war criminals living in the United States. When Holtzman arrived in Congress, the Immigration and Naturalization Service (INS) had primary responsibility for the exclusion of Nazi war criminals, usually on the basis of having provided misleading or incomplete information for entry into the country (exclusion was the strongest sanction available to American authorities; no legislation criminalized Nazi atrocities committed during World War II, and the ex post facto clause of the U.S. Constitution would have barred post-war prosecutions of such acts). In 1978, Holtzman spearheaded a major change to American immigration legislation – termed the “Holtzman Amendment” – making participation in wartime persecution of civilians an independent basis for denaturalization and deportation. The following year, Holtzman engineered the creation of the Office of Special Investigations (OSI) as a unit within the Criminal Division of the United States Department of Justice. From that point, OSI led the government’s efforts to identify Nazis war criminals living n the United States and seek their removal from the country. Lichtblau’s case studies skillfully portray the personalities involved on all sides of the hunt for Nazi war criminals. Lichtblau begins with ex-Nazi SS recruit Tscherim “Tom” Soobzokov, and returns to Soobzokov’s improbable story at several subsequent points. From the North Caucuses (the area of today’s Russia between the Black and Caspian Seas, north of Georgia and Azerbaijan), Soobzokov was accused having been “Hitler’s henchman” who “turned on his own people” and “led roaming Third Reich ‘execution squads’ that gunned down Jews and Communists” (p.xiii). Some called Soobzokov the Führer of the North Caucuses. After the war, the CIA recruited Soobzokov. 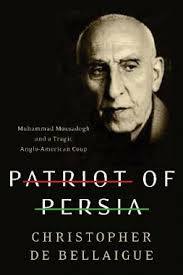 He served for a while as an agency source in Jordan and, with CIA assistance in cleansing his wartime record, came to the United States in 1955. He settled in Patterson, New Jersey where he became a mid-level county official and influential member of the local Democratic political machine. With his passionate anti-communism, Soobzokov was also recruited by the FBI and charged with keeping track of other North Caucuses immigrants with potential communist leanings. 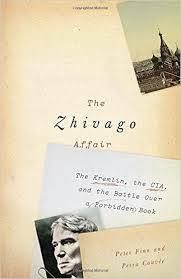 In the late 1950s, however, the CIA concluded that Soobzokov was an “incorrigible fabricator” (p.64) and cut its ties with him. But Soobzokov remained an informant for the FBI and his immigrant success story in Patterson continued unabated for another two decades, until 1977. That year, a best selling book, Wanted: The Search for Nazis in America, written by Howard Blum, a young investigative reporter for The Village Voice, identified Soobzokov as one of the leading ex-Nazis living in the United States. Written in a “suspenseful style and an outraged tone” (p.117, a description that could also be applied to Lichtblau’s work), Wanted was another crucial factor in focusing Americans’ attention on the Nazi war criminals living in their midst. The Justice Department opened a case against Soobzokov, seeking to strip him of his American citizenship and remove him from the country on the ground that, when first admitted into the United States he had “willfully concealed from the authorities his membership in the German SS during the war” (p.121). Soobzokov’s lawyers countered that Soobzkov had fully informed American authorities of the full extent of his SS involvement. To the dismay of the Justice lawyers, they were able to produce two State Department documents in CIA possession – after the State Department told Justice it maintained no records on Soobzokov — showing precisely what Soobzokov claimed, that prior to his admission into the country he had indeed fully informed American authorities of his role as an SS Nazi collaborator. Once the two documents had been authenticated, the Justice Department had no choice but to drop its suit against Soobzokov. Soobzokov also brought what seemed like an audacious libel suit against multiple individuals and entities, including the publisher of Wanted, an affiliate of The New York Times. Soobzokov’s libel suit turned out to be one of few that the newspaper agreed to settle. But before he could enjoy his apparent vindication, Soobzokov died of injuries suffered when a bomb went off in his New Jersey home. His case was never solved, even though all indicia pointed to the militant Jewish Defense League as responsible for the crime. Among the scientists included in Project Paperclip, the most famous by far was Werner von Braun, an admired figure in the United States despite having been what Lichtblau terms a “committed Nazi” who used “slave laborers in a mountain factory to build the V-2 rockets that bombed London” (p.10). Two decades later, with help from Walt Disney, von Braun became a “celebrated televangelist for space exploration” (p.93) in the United States and went on to play a prominent role with the National Aeronautics and Space Agency (NASA) in the 1969 Apollo moon-landing project. Von Braun was quite simply “too powerful and too revered to attack directly” (p.95) and his Nazi past never seemed to interest American authorities. This was not the case for the lesser known Dr. Hubertus Strughold, who rose to prominence at NASA as America’s leading expert on “space medicine,” the effects upon the human body of space travel. “Struggie,” as he was called in America, had been a colonel in the German Luftwaffe and director of a Berlin research institute. He was tied to grisly experiments on human reaction to extreme conditions, both at his research institute and at the infamous Dachau prison camp. One at Dachau locked prisoners in an airtight ball and subjected them to sudden changes in pressure to simulate rapid drops from high altitudes, with many dying. Another utilized what Nazi documentation termed “asocial gyspsy half-breeds” (p.103) to test the effects of drinking seawater on airmen shot down over water. Strughold’s name was mentioned 61 times during the Nuremberg trials, where 23 medical doctors were tried, with seven sentenced to death. Somehow, Strughold was not among those placed on trial at Nuremberg. Rather, he mysteriously showed up in the United States to launch a second career in his adopted country. The most wrenching case Lichtblau presents involved Jacob Tennebaum, Jewish and a Holocaust survivor who lost most of his family to the Nazis, including his wife, infant daughter, and five siblings. Imprisoned by the Nazis, Tennenbam became a kapo, a camp overseer who, other prisoners recounted, brought unusual cruelty to the task. Tennenbaum seemed to “thrive on the power the Nazis had given him,” routinely beating Jewish prisoners “even when the SS officers were not watching” (p.195-96). The case which the Justice Department’s OSI brought against Tennenbaum “proved polarizing from the start” (p.197). The previous head of OSI, then in private practice, told his former colleagues that he considered the case “dubious as a matter of law” and “improper if not outrageous, as a matter of policy” (p.197). Although OSI nonetheless proceeded with the case, it allowed Tennebaum to stay in the United States because of his poor health. 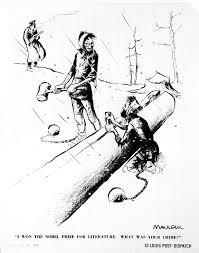 In exchange, Tennebaum gave up his American citizenship and admitted to “brutalizing and physically abusing prisoners outside the presence of German SS personnel” (p.197). The judge hearing the case, a war veteran who had been at Dachau after its liberation, was torn by its ethical complexities. “I have often wondered how much moral and physical courage we have a right to demand or expect of somebody in the position of Mr. Tannenbaum. . . I sometimes wonder whether I might have passed that test” (p.197). The most spectacular case — the most spectacular failure for OSI — involved John Demjanjuk, a retired Ukranian-American autoworker who changed his name from Ivan to John when he settled in Cleveland after World War II. In 1977, 18 survivors of the notorious Treblinka camp in Poland identified Demjanjuk as “Ivan the Terrible,” a guard at Treblinka trained by the Germans to operate gas chambers. Ivan was a man of “monstrous savagery . . . the barbaric executioner, a sadist who corralled women and children in the gas chamber, beating and torturing them as they went” (p.202-03). Largely on the basis of the Treblinka survivors’ identification, a court in Cleveland stripped Demjanjuk of his United States citizenship and extradited him to Israel, where he was the first ex-Nazi to be tried since Eichmann. After a lengthy trial, Demjanjuk was convicted of war crimes and sentenced to death. But five years later, the Israeli Supreme Court overturned the conviction when new evidence, made available by the Soviet Union, indicated that Demjanjuk had been a less prominent guard at Sobibor, another prison camp in Poland, not Treblinka. The Demjanjuk case marked a low point for OSI. The federal appeals court in Cincinnati severely criticized the unit, suggesting that Jewish advocacy groups had unduly influenced its pursuit of the wrong man. OSI nonetheless proceeded with a second case against Demjanjuk for his role in the killing of 27,900 Jews at Sobibor. Demjanjuk was extradited a second time, to Germany in 2009, to face charges in a Munich court. In May 2011, the Munich court found Demjanjuk guilty and sentenced him to five years imprisonment. Demjanjuk died not long after being sentenced. In addition to the usual array of family members defending Demjanjuk, he also had on his side Patrick Buchanan. An advisor to presidents Nixon and Reagan and a writer and television commentator, the fiercely anti-communist Buchanan opposed the deportation of numerous individuals targeted by U.S. authorities for having participated in Nazi war crimes. Over and over, Buchanan argued that the U.S. Nazi hunters were going after wrongly accused elderly men, who were defenseless and presumed guilty. Testimony from witnesses who survived the Nazis was deeply suspect, Buchanan contended, with a “Holocaust survivor syndrome” leading to “group fantasies of martyrdom and heroics” (p.194). Lichtblau does not delve into Buchanan’s psyche, but quotes Buchanan as having written that for all his faults, Hitler himself was an “individual of great courage” (p.194). Buchanan’s opposite was investigative journalist Chuck Allen. Before public attention turned in the 1970s to the issue of Nazi war criminals living in the United States, Allen more than any other individual kept the issue alive. A Swarthmore graduate with a Quaker background, the brash Allen was a “modern Don Quixote, armed with a poison pen instead of a lance. 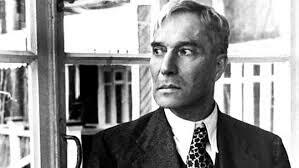 . . [who] tilted not at windmills, but at swastikas” (p.78). If Americans were blind to the Holocaust and its aftermath, Allen figured he would “strong-arm them into remembering” (p.78). Well ahead of other journalists and the United States government, Allen gained access to the Soviet Union’s treasure trove of documents and eyewitness accounts of Nazi atrocities. 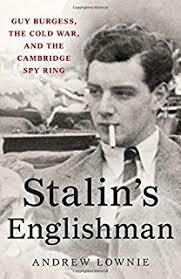 The Russians had “long accused the United States of going easy on Nazi collaborators, and so they were eager to help Allen in his research” (p.119). Although Allen’s journalistic pieces failed to gain much national traction, he paved the way for other journalists and U.S. government agencies to begin to shine a spotlight on “Nazi war criminals in our midst” (p.77), as Allen framed the issue. Among these agencies, the Department of Justice’s OSI, created in 1979 to energize the effort to identify and take legal action against ex-Nazis found in the United States, receives most of Lichtblau’s attention. Given its failed cases against Soobzokov and Demjanjuk, as well as the controversy surrounding the Tennenbaum case, readers might conclude that OSI fell far short of the objectives Congress had in mind when it created the unit. But OSI won most of the cases it brought, despite the difficulty in marshaling decades-old evidence and relying on traumatized and elderly witnesses to make cases against defendants who were themselves elderly and often in poor health. One small criticism to Lichtbau’s otherwise superb account is that he could have given greater emphasis to the extent of OSI’s successes in excluding former Nazi operatives from the United States. Today, the OSI mission of identifying and proceeding against former Nazi operatives is about at its end. Any putative Nazi war criminals still alive are almost certainly well into their 90s — a person 90 years old this year would have been only 20 when World War II ended in 1945 — and likely to die before protracted legal proceedings against them could be completed. OSI itself has become part of a unit termed Human Rights and Special Prosecutions, which has a broader mandate to seek sanctions against any human rights violators with connections to the United States. Lichtblau’s readers are likely to be surprised to learn that in the years following World War II, key agencies such as the CIA and FBI, driven by Cold War imperatives, were entirely indifferent to notions of accountability for individuals living in the United States who had participated in wartime atrocities on behalf of Hitler’s Third Reich. It was not until the 1970s that the American government began to take such notions seriously. With few if any legal proceedings against Nazi operatives likely to unfold in the future, Lichtblau’s disquieting story serves as a timely summation of the United States’ uneven record in dealing with former Nazis living comfortably within its borders.